As part of my celebration of the fact that my spending ban challenge is over I treated myself to these two Rimmel Lasting Finish By Kate Matte Lipsticks in shades 101 (a light feminine pink) and 111 'Kiss of Life' (a true bright red). I already own the beautiful berry shade 107 which you can see here. A girl can never have too many lipsticks in my opinion and, although I am aiming to collect all of the colours in this range, these were the two that caught my eye the most at the time I was purchasing. 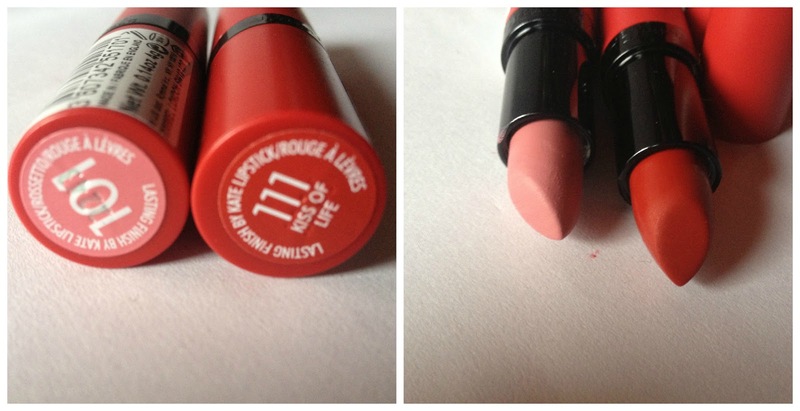 The pink is especially feminine whilst the red screams 'glamour' (watch out for my perfect red lip post coming soon). Whilst these lipsticks are matte they don't feel particularly drying. They're unscented too which makes them great for anyone with sensitive skin. The longevity of the product is great - they wear evenly on the lips and only need reapplying after at least three hours. They're highly pigmented and the colour on the lip stays true to the colour of the bullet. What is not to love? I genuinely can't fault them. 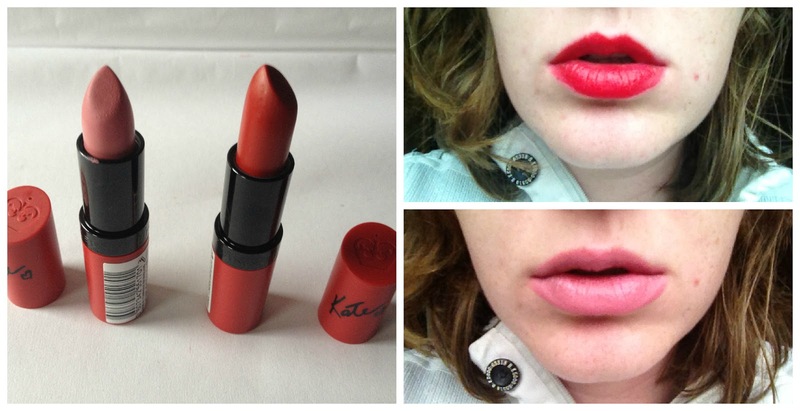 Rimmel Lasting Finish By Kate Matte Lipsticks are currently on the but-one-get-one-half-price offer at Boots. RRP: £5.49.